DOBANI Natural Wooden Televi Kitikpo Bakita 3.5 Inch Cord. 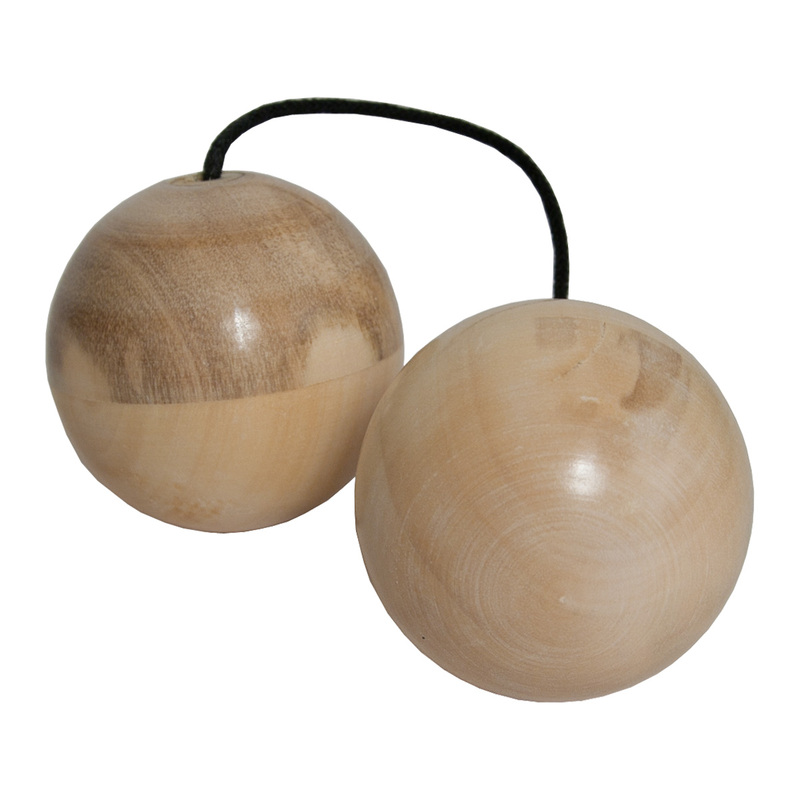 Televi, two small natural Wooden balls filled with beads and connected by a string. One ball is held in the hand and the other is swung from side-to-side around the hand, creating a "clack" upon impact. Hold and shake the Televi for a soft shaker sound. The Televi's are said to improve your sense of rhythm, and eye-hand coordination. They are also found to be used for relaxation and as a tension-release activity. The string length between the balls is 3.5." The televi is found through out the West Coast of Africa. The name of this simple percussion instrument will vary depending on the area. Just a few other names include: kitikpo, kosika, asalatua, akasa, bakita, kokosiko, and kosika. Great for kids and adults with endless rhythmic possibilities.